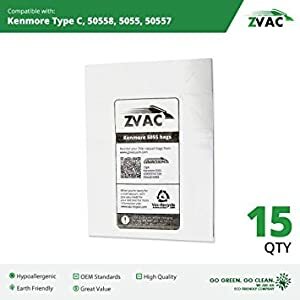 ZVac as a brand has a wide range of vacuum cleaner bags vacuum filters and vacuum parts that are made to fit an extensive collection of brands. We also carry commercial grade cleaning equipment, along with a variety of non-electric cleaners, steam cleaners, air purifiers and other cleaning equipment. 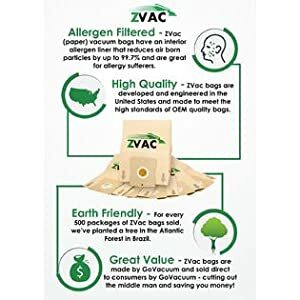 ZVac Vacuum Accessories have been designed and engineered by GoVacuum in Virginia, USA, to be mostly biodegradable and recyclable, made with earth-friendly materials to have the least amount of negative impact on the environment. 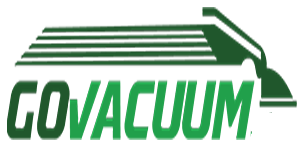 GoVacuum as a company has been in the business of Vacuum Cleaners & Parts for over 3 decades. We're a typical American Dream of a family business that's grown consistently, and now is also doing its part higher up the value chain by launching its own brand ZVac (using the experience & expertise gained over the years). We at Govacuum feel it’s not always about what you do in life, but what you’re made of. We feel the same way about vacuum bags and filters. The collection of dirt and filtering of airborne are extremely important, but equally important is the composition of materials that form the vacuum bags and filters. 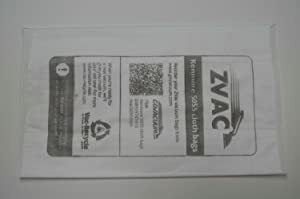 Zvac brand will offer bags and filters made of earth friendly materials, which have the least impact on the environment. These bags and filters provide multiple layers of filtration that maximise the reduction of airborne particulates and allow your vacuum to maintain optimum air-flow while dirt is being collected. 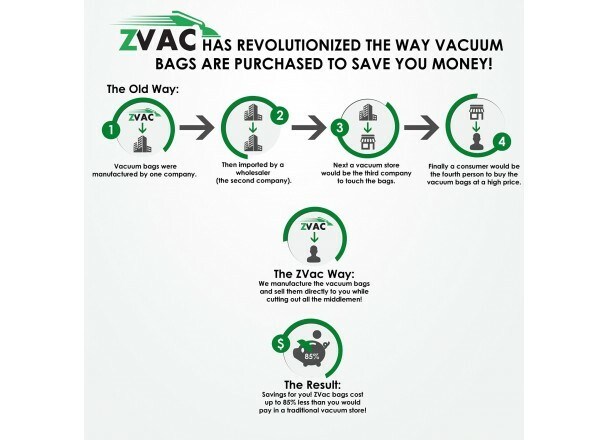 ZVac Vacuum bags are made to fit all popular vacuum cleaners. These are generic/replacement bags of the highest quality, ensure a perfect fit and come at a very competitive price. 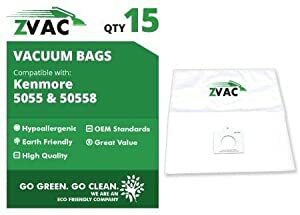 These generic replacement bags from ZVac replace Kenmore type c and q vacuum bags at a great value. These bags capture airborne particles like dust and pollen that can trigger allergies or asthma, making them essential for home with children or pets. 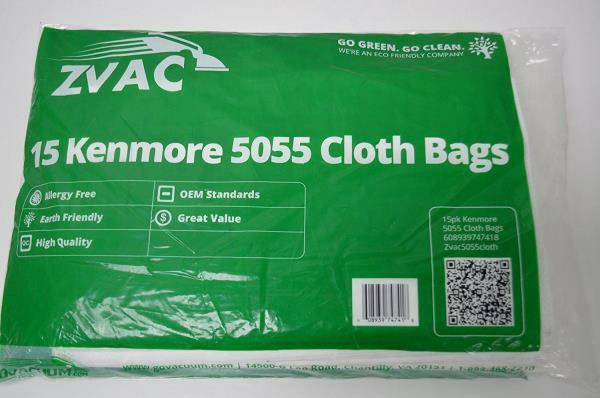 These 3-ply bags meet OEM standards and are designed to fit Kenmore models 5055, 50558, and 50557 canister vacuum cleaners. 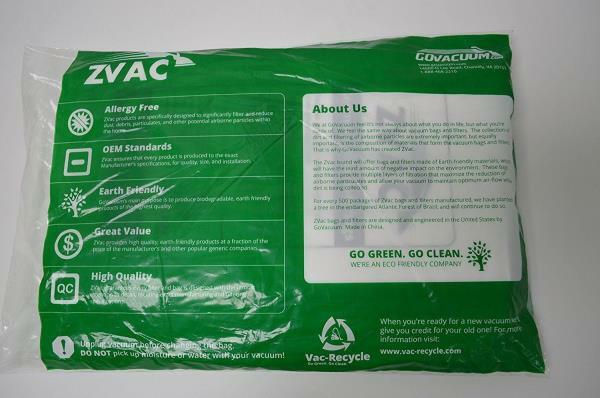 This product includes 15 replacement vacuum bags. The innovative microfine material used in the manufacturing of the bags ensures that each and every dust speck and carpet and flooring dirt is caught on the first pass of the vacuum cleaner. These highly efficient Microlined Canister Vacuum bags are constructed with a premium three ply system. Dangerous airborne products can harm those pets and people in the home. The materials the Microlined Canister Vacuum Bag is constructed of are 100% environmentally safe with no negative impact on our earth. When you need to make sure that your family is safe and your home is clean, buy the 15 pack Microlined Kenmore Microfiltration Canister Vacuum Bag. You will love how the carpets and floors are super clean and the air is clear and allergen free after vacuuming with them. Kenmore carries on its long-standing tradition of fine vacuum cleaner products and makes sure that your clean home is also a healthy home. The micro-filtration system can catch above 95% of the foreign air particles that may linger in your home such as dust or pet hair. The filtering process is more than three times more effective than standard vacuum cleaning bags currently being advertised and sold on the market. 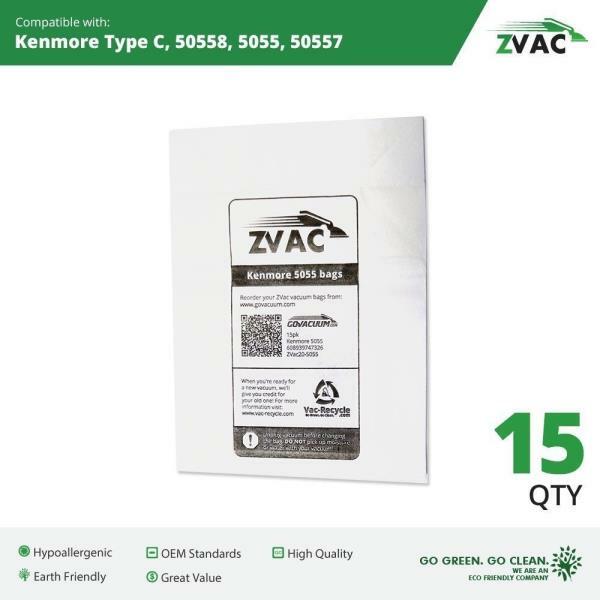 The Kenmore vacuum bags meet and exceed all OEM standards and specifications. They are composed of earth friendly products in order to keep our planet green and clean!